How I LOST 7 Months and $805 Registering a TRADEMARK for Amazon's Brand Registry! How I LOST 7 Months and $805 Registering a TRADEMARK for Amazon’s Brand Registry! Today, I want to share my story of how I wasted 7 months and hundreds of pounds on registering a trademark for Amazon’s Brand Registry, which, at the end of the day, turned out to be totally useless! This story just shows how fast everything changes and that you can never rely on old information when it comes to things like this. Without further ado, let’s get started! For people who are new to Amazon selling or even for active sellers who are still not using Amazon’s Brand Registry, I highly recommend you sign up! It’s the quickest and easiest way to protect your brand, enhance your listings and unlock additional features in your Seller Central account. Brand Registry is a place/service where Amazon allows genuine brand owners to register their brands. Protect your brand from being used in other listings, act on copied products, help with finding potential infringement, copied images, logo and other elements. So far, I have not personally had any experience with the brand protection side of things (hopefully, I will never have to do that), so I can’t comment on that. 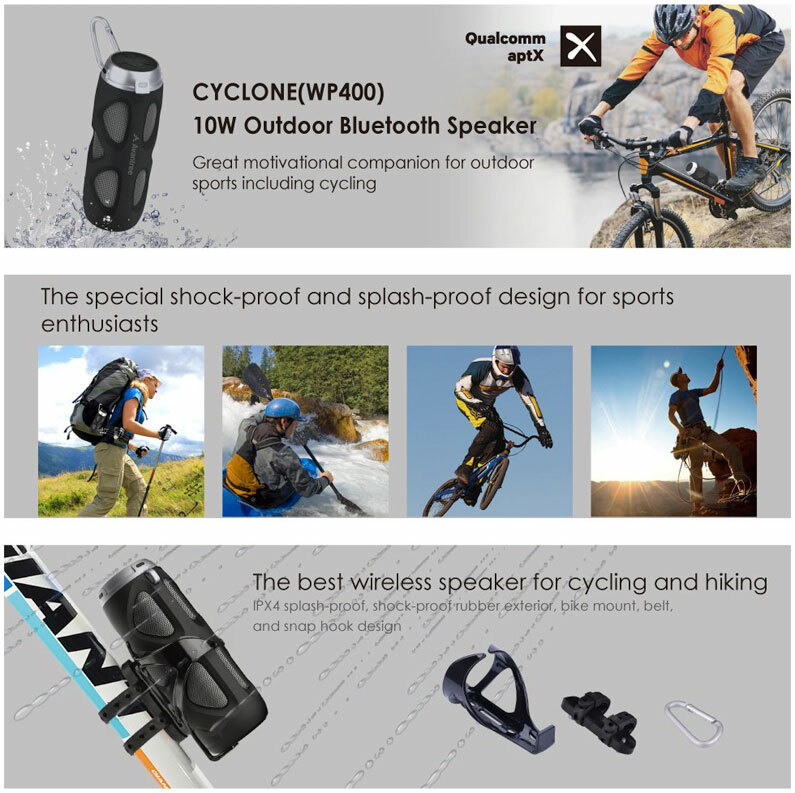 BUT for me, as a seller who creates amazing brands and wants to showcase my products in the best possible way, the most important and immediate benefit of being part of the Brand Registry is the ability to use Enhanced Listing descriptions (or Enhanced Brand Content Detail Pages, as Amazon calls them). What are they and why are they so important? Now, when you get into the Brand Registry, Amazon gives you the ability to use their Enhanced Brand Content tool to create VISUALLY RICH descriptions! From this point, you can add your logo, product images, lifestyle images, reviews, text, headlines, sub-headlines and so on to create a MUCH MORE appealing listing description! It gets even better when you look at listings in the mobile view! As we already know, at the moment, more than 50% of purchases are being made from mobile devices, and that’s actually an old statistic. In reality, it could easily be more than 60% by now! I hope you agree that it does not look very appealing at all. The product images are there, company logo is there, fully formatted text is there! 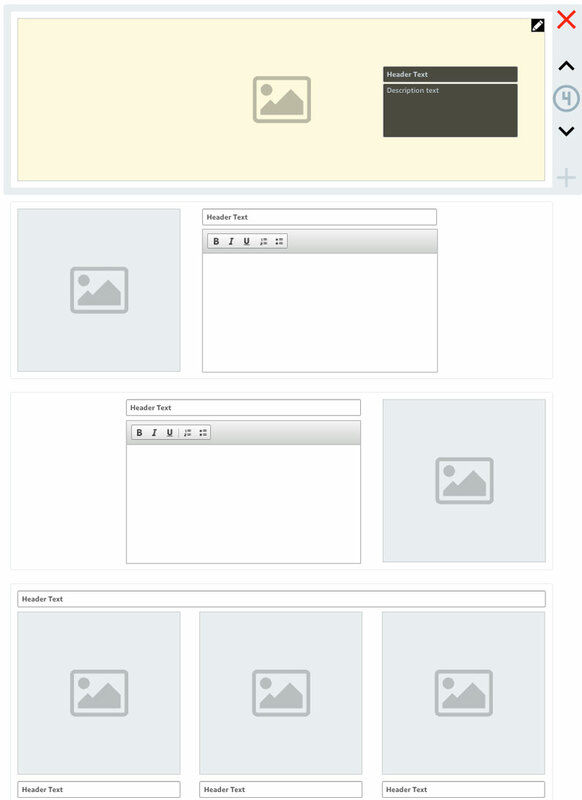 All on the default/first page! No need to click anywhere or expand the screen to see this! All the information is easily accessible at a glance, which what buyers want! You don’t have to be very smart to realise that these image-rich listings will convert much BETTER compared to ones with standard, plain-text-only descriptions. In my opinion, this feature alone is well worth going through the registration process to get into Amazon’s Brand Registry. And then there’s the Amazon Stores feature that is unlocked with your Brand Registry account! 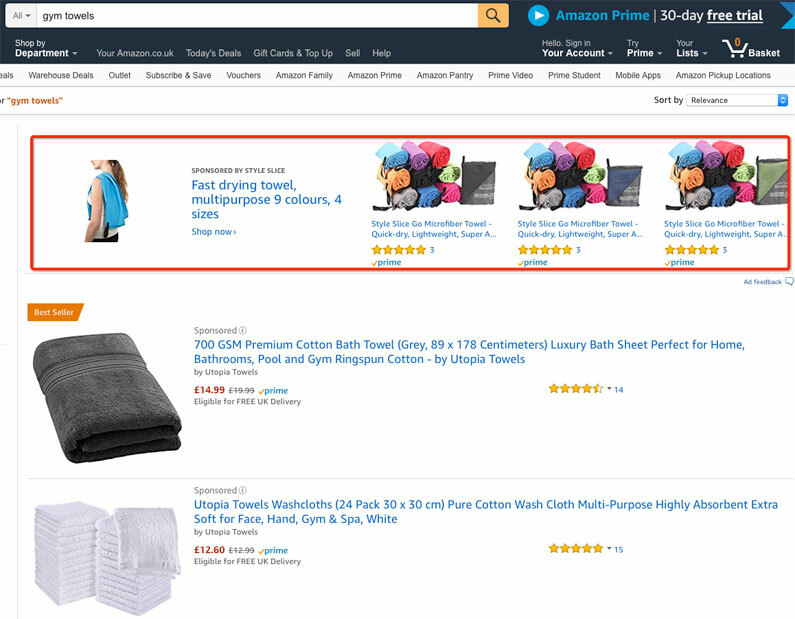 Amazon Stores simply allow you to create your very own shop on Amazon’s platform where you can list your products and create category pages like an About Us, FAQ and other information pages! It’s basically like having your own small e-commerce shop built right into the Amazon ecosystem. There’s even an option to add a VIDEO to your store pages! Yes, this is where you can put REAL videos about your products or company to add even more credibility or to educate your customers on the product, how to use it, how to assemble it, etc. VERY HANDY, if you ask me! Lastly, when people click on your BRAND NAME in your listings, they will be directed to your Amazon Store, not the general search results. 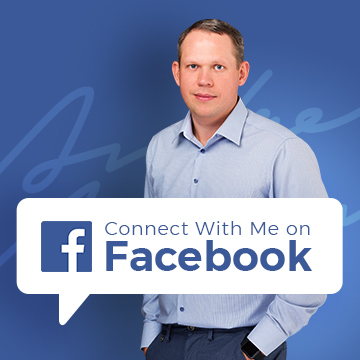 This significantly increases your chances of getting even more sales from each customer. These ads do not get as many clicks as normal Sponsored Product ads, BUT they are quite cheap, and I do get a good ROI from them, as shown in my latest sales update posts. I highly recommend that you register as soon as possible to gain all these advantages and stand out from your competitors while protecting your main long-term asset—the BRAND itself! Ok, that sounds all good and rosy, Andrew, but where’s the story? How did you waste more than half a year and $805 on this process? How to Properly Apply for Brand Registry on the Amazon US platform! So, the story is mostly about the Amazon US website. Readers who have been following my blog for a while will know that I launched my brand on Amazon UK in Autumn 2017. Of course, I immediately registered for Brand Registry on the Amazon UK website. That all went through with no hiccups and I was able to use the Brand Registry advantages pretty much from day one of selling. Back then I knew that I would eventually want to expand (or at least try to expand) this brand on the Amazon.com (US) website too. With this in mind, I started to look into what I need to get done before the launch ahead of time. Brand Registry was obviously on the priority list as I knew how important it was and what a difference it can make to sales and conversion rates—especially when you’re just starting out and don’t have any reviews for your products. At that time, I checked the rules on applying for the Brand Registry on the US site and saw that it was essentially the same as the UK. The only difference was that the trademark MUST be registered in the US, Canada or Mexico (Three North-American platform countries) and that they wouldn’t accept my UK trademark. Yes, speaking of the trademark, you do need a REGISTERED trademark to apply for Amazon’s Brand Registry! It’s not enough that you have applied for a trademark. That won’t work. It must be already REGISTERED in the trademark database to be valid. And there’s one more very important thing regarding trademarks that I will show you in just a minute. 1-2 weeks after registration, the IPO reviews your application. If everything is ok, they publish it in the trademark journal. 2 months is the opposition period when anyone can oppose your registration. 1-2 weeks after the opposition period ends, your trademark gets official registration. So, overall, it’s 2.5-3 months from application to official registration. If you have a good, unique brand name with little chance of opposition, it should go through very smoothly. Additionally, the timeframe for the whole process is MUCH LONGER than here in the UK! It can take anywhere from 8-9 months to up to a year for the whole trademark registration process to be completed, which is insane! And it’s not a case that their opposition period is longer. In fact, it’s actually SHORTER!!! Your trademark takes just 30 DAYS from the date your trademark application gets published in the journal. It’s the many, many idle months before it gets to that point that makes this process so lengthy. Essentially, your application sits for months on someone’s desk until it finally gets reviewed and published. I’m sure you can do it on your own in the US too, if you learn the ins and outs, read the small print, fill out all the forms, etc. But that’s only IF you have the time and inclination to do it on your own! I don’t. I simply don’t have time for that, nor do I want or need to learn how trademark law works in the US. It’s completely unnecessary. So, what do you do? You outsource! I’m very happy to pay someone who is GOOD and who will save me time (and most likely money too) to make sure that the trademark registration in the US goes smoothly. 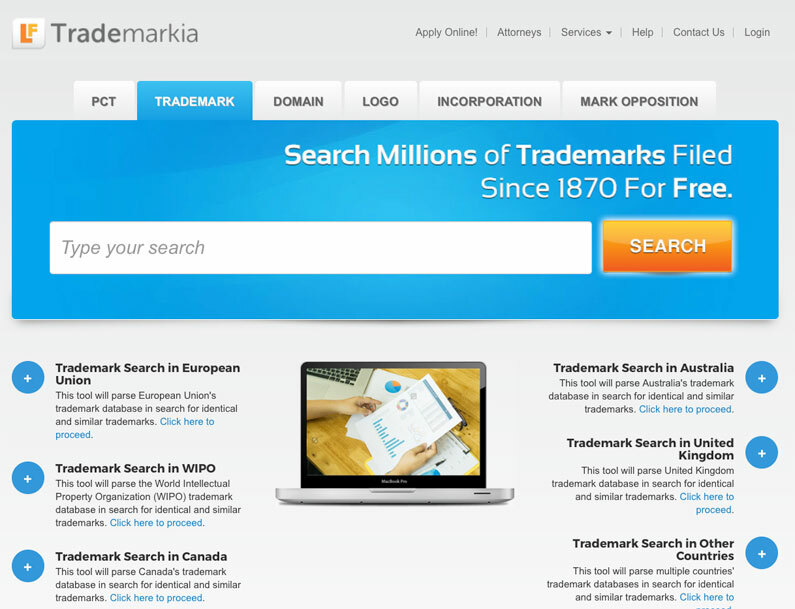 I did a quick online search (well, I searched for a few hours as I wanted to find a good and affordable service for this with a perfect reputation) and found a reasonably priced and popular trademark registration website called Trademarkia.com. They have good reviews online and their service for basic trademark registration in the US in one class costs just $199, which, if you ask me, is very reasonable. They also offer various other trademark-related services, such as monitoring, dealing with oppositions, international trademark registrations, and so on. But for now, I was simply interested in getting my trademark registered in the US for Amazon’s Brand Registry purposes. In addition to the $199 that Trademarkia charges for their service, there’s a government fee, just like in the UK, for registering your trademark. It was an additional cost of $275, which I would have had to pay anyway, of course, even when doing the whole process on my own. So, altogether, it’s $199 + $275 = $474 to register a US trademark in one class using the Trademarkia service. I placed the order via their website and the next day I received a form that I needed to fill out, which was pretty short and very easy to do. Then I basically just waited for further instructions from Trademarkia. Several months go by and I get an email from Trademarkia saying that there’s a problem with my application. The problem was outlined by the USPTO, and it turned out to be an issue around the products I had listed in my goods list. I did use a pretty large list of goods, but it was the same list I used for the UK registration and that went through just fine. 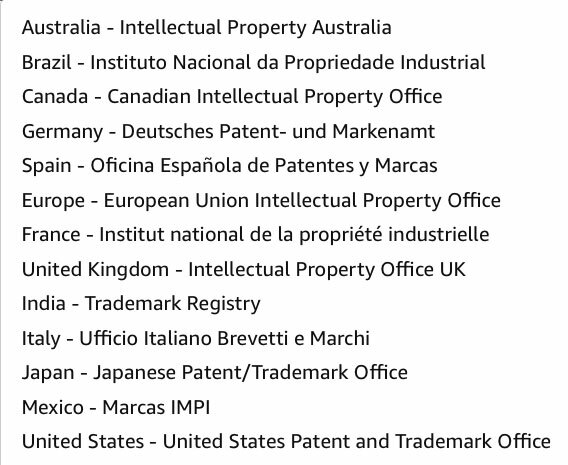 In the US, however, they look at this a little differently, so I had to change the list to get my trademark registered in the journal for the opposition period to start. Keep in mind that this was early January, so four months had passed since I started my registration. This means that for four months nothing actually happened with my application. No one had even looked at my registration at the USPTO up until this point! Trademarkia will take care of it for $389. The change was minuscule. I basically just needed to change a few words, so I decided to do it on my own. Then I saw the forms I needed to fill out and quickly changed my mind. Again, it seems like the USPTO simply creates these forms so that trademark attorneys can charge us $389 for a 10-minute task. Still, $389 seemed way too much for this simple task, so I asked for a discount and got it down to $331. It was still a lot of money, but I didn’t want to further delay the process, so I paid the money and they took care of it. Lesson to learn: If you want to minimise the chances of your application getting rejected, list as few products as possible. You even can list just one, whether it’s your main product OR even not your main product—it really doesn’t matter in terms of Amazon’s Brand Registry. All they care about is that you have that trademark registered. Amazon won’t look into the goods you have listed in your trademark, not even the classes. Of course, a more extensive goods list, and maybe even additional goods classes, will help protect your brand even further outside the scope of Amazon. So, if you have huge plans for this brand in the future, do what you have to do and list all those products in the goods list. Just be aware that this can create potential problems and also increases your chances of getting your application opposed by other brand owners. On the 27th of February, my trademark application was published in the journal. A month later, it went LIVE! No oppositions, so I was very happy about that! I started the process on the 24th of August of 2017 and my trademark went live at the end of March 2018, so it took a total of seven months, which, by the way, is VERY QUICK for a US registration! I have heard stories of it taking a year and even more in some cases! Maybe I got lucky, but the timeframe was not that bad. Ok, so far so good, right? I mean, I got the trademark registered in the US for $805 (though it could have been just $474 if not for that small change) in just seven months. Seems pretty good? I’m happy that I have that US trademark registered BUT it turns out that I did not actually need it…. 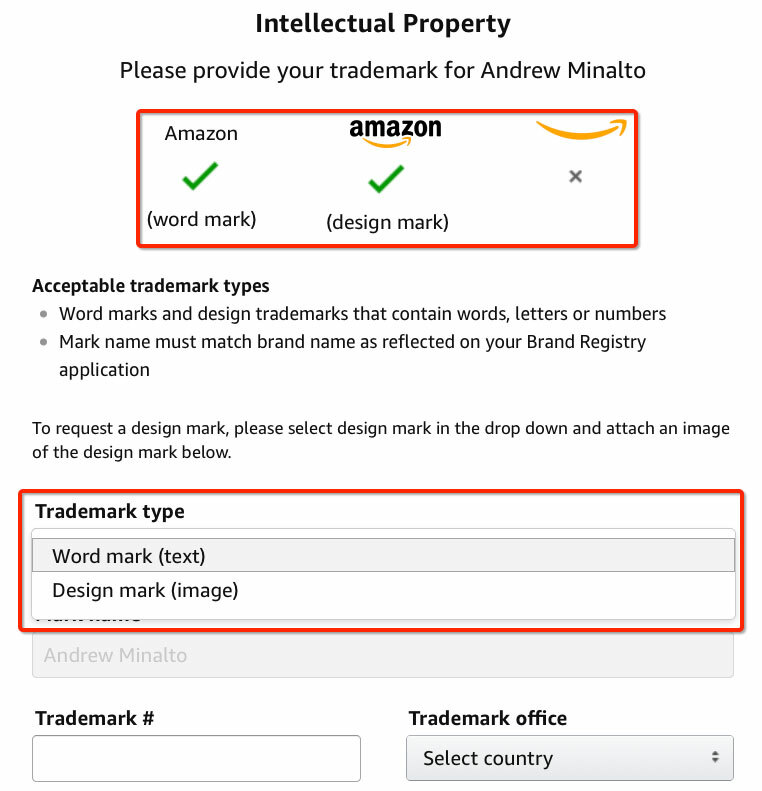 How to use a UK Trademark for the Amazon US Brand Registry! Yes, you read that right! By the time I finished my US trademark application, Amazon had changed the rules and was now accepting UK trademarks on the US site too. What a bummer, LOL!!! But I’m not mad at them. I was actually wondering before this why they wouldn’t accept a UK trademark in the US Brand Registry? Even though a UK trademark has no legal standing in the US (well, it has some but that’s not the point), I think for small businesses, it’s good enough to get into the Brand Registry. Amazon realised this and fixed the problem! And that’s not all! You DON’T HAVE to go through the registration process again on the US website if you have already registered for Brand Registry in the UK! Yes, you simply need to add a USER to your Brand Registry UK account. Just add that US seller account as a USER and it will be enrolled in the US Brand Registry. Right now (May 2018), there’s no way to automatically do this, so you simply get in touch with Brand Registry support (not the main Seller Central support) and ask them to add an additional user to your account and give them your Amazon.com seller email address. They will happily assist you and explain what you need to do next. To sum it up, if you have a UK or European trademark already registered, you don’t need to register a US trademark to get into the Brand Registry on the Amazon.com website. Also, if you are already registered in the Brand Registry on the UK website, you don’t have to go through the process again on the US website. Just add your US seller account as a USER to your current Brand Registry account in the UK. I really hope this is clear and will help people to avoid unnecessary fees and time wasted on registrations you don’t actually need. Word (Text) mark: this is when you register your brand name as a piece of text. Say your brand name is “Andrew Minalto”, it can then be used in various visual ways, logos, etc. Design (Logo) mark: this is when you register your brand’s logo as a trademark and, if registered, that logo is protected. If you change your logo, for example, then you need to go through the trademark registration process again. As you can see, the word mark is stronger (legally) as it protects the name/word itself, not just the logo. However, there’s a big downside for word marks: you stand a much higher chance of someone opposing your trademark during the registration process. What is OPPOSING? When your trademark application gets published in the trademark journal, it goes through a two-month (UK) or one-month (US) opposition period when other brand owners can oppose your registration. They could have a similar logo or name to yours and they can oppose your registration, which basically means they can create an EXPENSIVE legal hassle, but let’s not go into detail on that right now. Sometimes they don’t even have much similarity to your brand name. For example, with my recent UK registration. Often, it’s just large brands with massive legal budgets who want to protect their brands, so they will oppose your registration even if you’re not an actual threat to them. Anyway, when you register a design/logo trademark, you’re essentially asking for lower protection and this DECREASES your chances of getting opposed. Similarly, the fewer classes and goods you have listed, the lower the chance that someone will oppose your registration. When Amazon launched their Brand Registry service in 2017, the only trademark type that they accepted was a word mark. Again, I don’t know why they thought it was a good idea, as most small business owners I know have logo trademarks registered. Even I had to register multiple word trademarks for brands I already had registered with logo trademarks. It didn’t really make any sense. Most of you will have logos with your brand name in them, so this is not a problem. And if you are new to the game and plan to register your first trademark soon, consider registering the design/logo trademark instead of the word mark! The cost and process are exactly the same but, as I have already explained, the risk of getting your registration opposed with the word mark is much higher. In future, if your business grows and you feel that you want to protect your brand name as a word mark, you can always register it separately. Ok, that’s about it for today. I really hope this helps! If you have any questions about the information I have covered in this post, please leave them below in comment box! Or maybe you have a story to share with us? I’m always happy to hear from my blog readers and help if possible with advice! What if your UK and US accounts have the same email address as they are linked, it won’t let me know add the user as it says the email address is already in place on brand registry. Do I need to go back and change my email address or is there another way? Yes, the same thing happened to me. The easiest way would be to use a different email address. I personally did contact Amazon and they fixed this for me, but it took a week or two. I am registered on Amazon US Brand Registry with a UK trademark. Can you report counterfeit sellers for Trademark infringement with a UK trademark? I noticed their report a violation form only seems to recognise US registration numbers. No, you can’t. This is the issue you deal with when going the UK trademark route – while it will get you into the US Brand Registry, it won’t protect your IP in the US. That’s why in the long term if you plan on being in the US market, you should register a US trademark anyways. I also do EU wide trademarks for brands I know I will be selling in Europe. Thanks a lot! You saved a lot time for me with this blog post. Awesome write up. Thank you for clearing things up Andrew! Thanks for such a great article, it has been the light at the end of the tunnel ! Just one thought I am looking at registering in the UK and the USA and then use the UK one until the USA one gets approved. I think this would allow me to use the enchanced listing features to start with and then have the protection of the USA one later on. I will carry on googling this but wondered if you had any comments ? Yes, that’s def. one way to do it! 🙂 In fact, I even know US sellers doing this – getting a trademark in the UK first (as it’s faster) to get into Brand Registry ASAP! Thanks for the great write-up. I’m in the process of getting one brand trademarked, and it occurred to me that maybe we could use this for our other products on amazon. My question is, if you have one brand and product line with Brand Registry, can you get enhanced content for your other products that may not necessarily be marketed under that brand? We are thinking of re-doing our labels to kind of umbrella our other products under the trademarked brand, but is all that necessary? No, you can’t do that. Amazon doesn’t allow that. Each BRAND must be enrolled in brand registry separately. Thanks for the info, what do I do if my Brand Name is ‘taken’ in Seller Central, but available in USA USTPO TM database? E.g. My brand name is Green Apples, but I had to enter Green Apples Gifts in Seller Central. I’ll be TM ing Green Apples. Is this fine for Brand Registry? 2) if I am UK based selling in USA, should I go for USA TM first, or the less costly option of a UK TM just to speed things up? Thank you so much! 1) You mean your display/store name in Amazon? It can be something different to your brand name, yes, that’s not a problem. 2) I would probably just go with the UK option as it will be much faster and cheaper. Then, when things take off and you see that the US is a viable market for you, file the US TM application. Obviously, there’s a slight risk that someone else registers your trademark in the US before you do it, just so you know. thank you for your real valuable information, its amazing. i have a brand registry account in UK i followed your advice and contacted amazon in UK to add my US account to the brand registry. can you please advice how i can gain access to add EBC to my US listing. and does it make sense what they are saying about same email address. I had the same problem – as I’m also using the same email address for both marketplaces. Contact Amazon US Brand Registry support, inform them about this and they should be able to fix the bug/glitch – as they did for me. Now I can log in into both Brand Registry websites using the same email address. i contacted US br and they have no idea what i want from them and recommend i create a new br account in US and ad it as a user in UK. just wondering if i do will i still be able to use EBC in the US seller account as the US seller account will not match the email from the br account. I’m sorry Yosef, I can’t remember exact details – all I know is that they took care of it. Maybe try contacting them again, maybe a different person will have a better idea on what needs to be fixed at their end? All I know is that they fixed it for me and I’m using the same email on both Brand Registry websites. Very interesting but am I correct in thinking that, even though a UK trademark can get access to the Brand Registry in the USA, it doesn’t help with list hijacking etc? 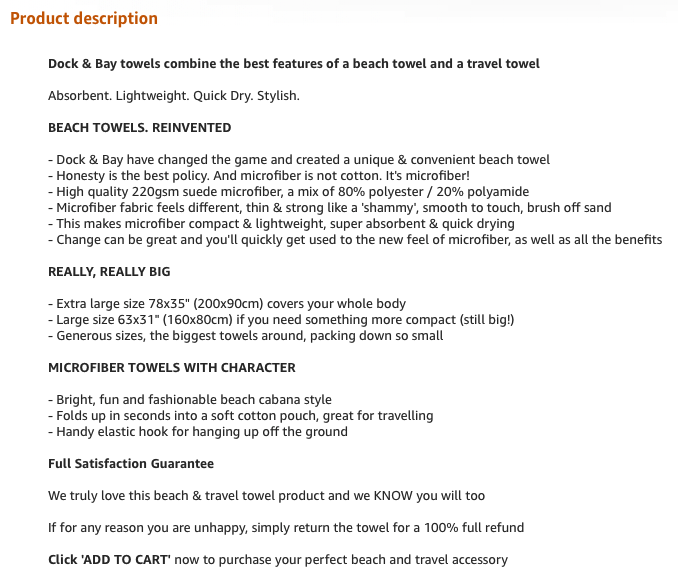 If you call the BR team about a listing hijack, I’m sure that the first thing they’ll ask for is your US trademark number. The UK registration won’t help at all unfortunately. I’d like to hear any feedback from anyone with experience of this. Fortunately, I haven’t experienced this myself yet so can’t give you any advice on this…. Thank you Andrew for taking time out to create such a detailed informative account of your experience. This has potentially saved me a huge headache, a lot of time and probably a substantial amount of money! All the very best for your future endeavours! Very useful post as always. I just want to say you haven’t wasted your time, when there are hijackers in your listings undercutting your price Amazon will not listen unless you have official trade mark. Just a question please when you used trademarkia did you mention your registered UK one as I am going through the form and there is this question. I am not sure does this speed the processed or delay it? Yes, I did mention that I have a UK trademark – I don’t think it changes much in regards to the USA registration. 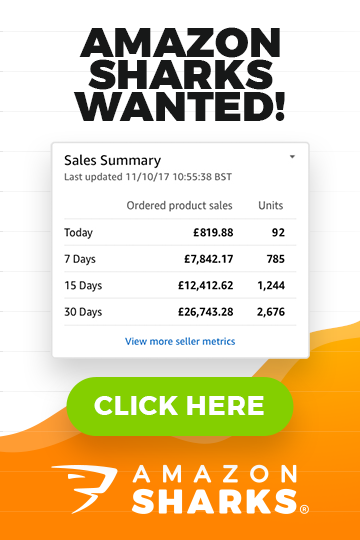 Hi Andrew , I was searching online about online business I could start when I come across your page, I have been reading alot about Amazon FBA, from The selling family and Amazing selling machine, and I was hoping to find a trainer that will tailor his course to Amazon UK, and I’m glad I found you here. I plan to start your course this 25th that if there’s still available space, as I don’t have any experience with online business before now. I hope to learn every step I need to succeed with you as I tap into ur 15 years in the business. Thanks for for sharing such vital information, I have just currently watched the Blueprint Amazon free lessons and this is my first step in branding products, I just wanted to make sure that UK trademark can be used on the US amazon site and I put this question to James Anderson from amazon and he replied, “apply for Trademarks within the Respected Countries, I would check online for a Trademark Company to help you”? So I am rather confused at this moment in how to go forward from here? Thanks for your feedback. If you read my post, you would know the answer your question. wow thanks andrew you always have the perfect info and at exactly the right time! I was dredding applying in the US but knowing i can use my UK trademark is so great! i was kind of screaming all the way through :O – and that can use it in the EU as well is crazy!? specially with it being so hard to get reviews. Just one thing, do you have to click the ‘contact us’ button like normal to contact ‘brand registry support’ team, i was struggling to find it, so i can ‘Add User’ to my uk brand reg account. (or from your Brand Registry account home page). Out of interest, did you “select all” for the class for the UK trademark? As Amazon sellers, it’s hard to predict which products we might sell… I’ve heard that it’s a pain to go back on your registered trademark and add in extra goods under the class you have applied – you have to apply for an entire new application. therefore, do you think it makes sense to select all in the primary class you’re selling for the UK ? I can’t decide whether to select the products I am selling now, plus any i have looked at recently or whether to go for the entire class so I don’t limit myself? Yes, I do select as many products within the same class as possible as that does not change the price of your trademark application. I wouldn’t maybe do this IF you know that there are very similar trademarks already registered and you stand a high chance of opposition – in such case you would be safer to just list products you know for sure you will be selling. I just checked with amazon website today, it seems they changed the rule again. “To be eligible for Amazon Brand Registry, your brand must have an active registered trademark in each country where you wish to enroll” and they have the “Eligibility requirements by country” now. For Amazon US, it seems only US trademark is eligible. i have had my brand idea for nearly 8 months, however am currently building up finances though job and selling liquidation goods. Am not in position yet to order in large quantities, however i could start the process of brand register ? Ideally of course you get your brand name trademarked BEFORE you order any goods as then you know 100% that there won’t be any problems with the name/logo. Amazing article and ridiculously valuable information. I’ve contact Amazon on a few occasions, to speak to them about using HTML code in product descriptions, as I saw big brands were doing it on categories that weren’t allowed HTML (Other than ) and they NEVER explained it was due to the fact they were Brand Registered Brands! I’ve had a trademark for a few months and hadn’t brand registered with Amazon as I didn’t appreciate quite how valuable it was, to do so. So just a huge, HUGE thanks! One thing though – BIG brands have another arrangement with Amazon and they have different, totally custom pages built for them. Brand Registry is a different thing but it does allow us, “small brands” to have very good visual presence on Amazon, without making any special deals etc. From a legal standpoint your UK trademark does not provide any protection in markets outside the UK. Someone could easily register the mark if you didn’t and use it in the USA and you wouldn’t have any grounds to challenge it. So you haven’t completely wasted your money as you have prevented someone from registering a similar mark. Registering a trademark really does not need a trademark attorney, it is really straightforward to apply especially if you can fit your application into the ready made product types. I have registered dozens of them in the UK, US & EU and never had a problem. The trademark attorneys are a waste of money as they don’t really add any value, in fact on the one occasion when I did use one (when I did my first trademark) I ended up with a very poor registration as they really didn’t understand the nature of the goods I am selling, so I ended up applying for a new one. Thanks for your comment Darren. Yes, that’s true – I did not completely waste my time as I did get that trademark in the US. As for others registering my brand as a trademark in the US – yes and no. They could register the word mark, yes, but they obviously could not register my LOGO as logo as image is copyrighted by default and no one can use that without your permission. Obviously if they would get a word mark, they could then have legal grounds to take my products off the US market as the name would be same (if they register in same goods class). Can you use your US trademark for UK brand registry? Thanks Andrew! This is very timely advice. 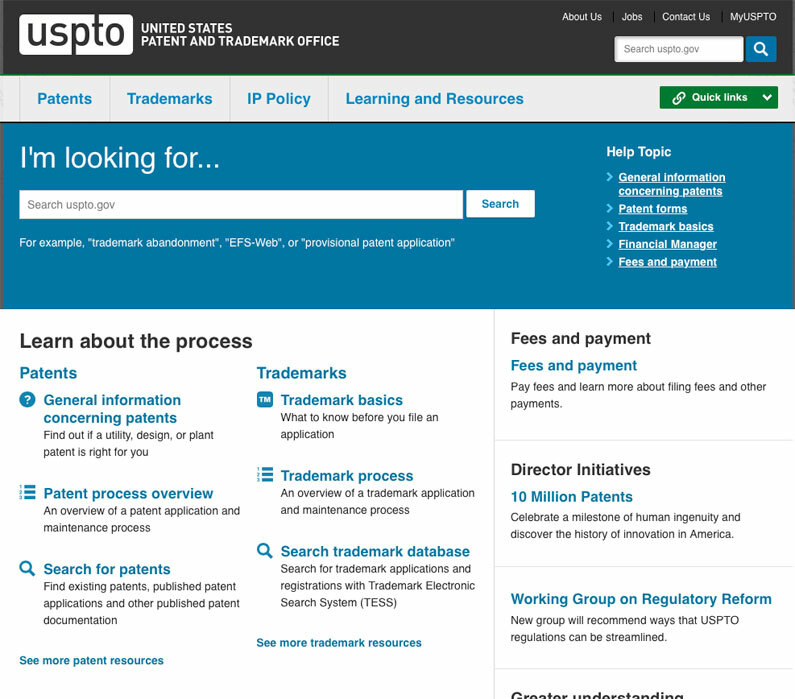 I was about to go through the dreaded U.S. trademark process but that will change. Wow, just discovered your site, lots of great information here! 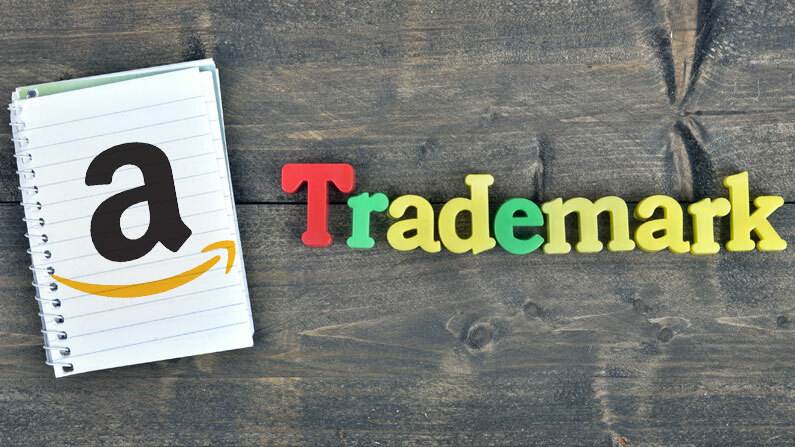 I keep hearing everyone talking about having to register a trademark through the USPTO system (some say, without showing proof, because if not, the advantages of brand registry are not the same), but if it is cheaper and faster to register a trademark in the authorized country and then enter the brand registry in Amazon US with that, it’s great! These changes are quite recent so probably many people are not even aware of this! Great article Andrew, this is so helpful! Hi Andy! thanks a lot of these info! Sad that you lose $800+ for nothing registering your brand in US. Thanks to your post and amazon new rules, you save us lots of money and time. I was starting exactly the same trademark US process. ..Always good useful tips to learn on your blog. I guess I don’t need Trademarkia now 🙂 Thank you.